Administrative Law Judge (ALJ) Susan Ruff of the Office of Administrative Hearings, Special Education Division, State of California (OAH), heard this matter on December 10, 2007, in San Juan Capistrano, California. G. Robert Roice represented Petitioner Capistrano Unified School District (District) at the hearing. Lysa M. Saltzman, legal counsel for the Orange County Department of Education, appeared as co-counsel at the hearing. Anne Delfosse, Executive Director, and Kim Gaither, Legal Specialist, appeared on behalf of the District at different times during the hearing. The District’s due process complaint was filed on November 9, 2007. The case was taken under submission at the close of the hearing on December 10, 2007. 1 On November 29, 2007, Student’s parents filed a Request to Dismiss the District’s due process complaint. The motion was denied during the telephonic Prehearing Conference held on December 7, 2007. 3 The propriety of the IEP offered at those meetings is the subject of another due process proceeding, OAH consolidated case number N2007070429/N200710065. Those IEP meetings are not directly at issue in the instant case, and are relevant only as background to explain why the assessments were conducted. 5 The federal code uses the term “evaluation” instead of the term “assessment” used by California law, but the two terms have the same meaning for these purposes. 1) Were the assessments conducted by the District and the Orange County Department of Education pursuant to the Individual Assessment Plan signed on July 1, 2007, comprehensive, appropriate and valid? 1. Student is a 15-year-old boy who is currently attending Tesoro High School, a school within the District. Student is eligible for special education and related services under a primary disability category of autism. Student has severe cognitive, social and communicative deficits and attends a special day class for all of his academic instruction. 3. 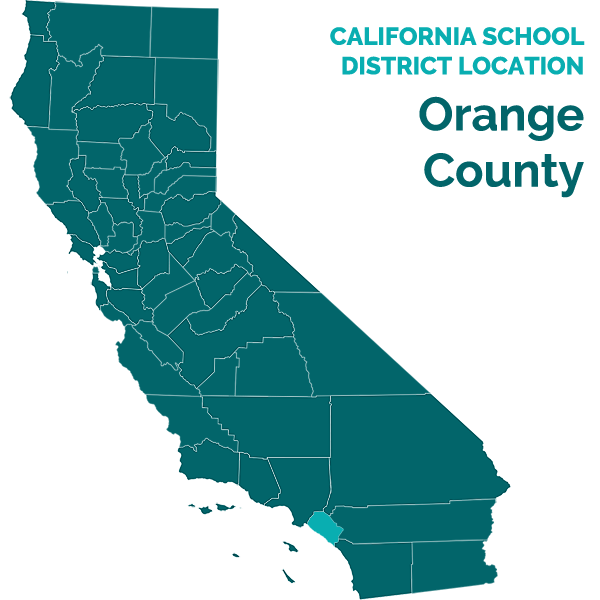 Because of the disagreement between the school staff and Student’s parents regarding Student’s performance and proposed goals, OCDE believed that the best course was to conduct a full assessment of Student. On June 26, 2007, OCDE sent a proposed Individual Assessment Plan to Student’s parents, calling for assessments in the areas of intellectual development, academic/pre-academic achievement, speech and language, psycho-motor development, self-help and vocational abilities, health (including vision and hearing), and social/emotional behaviors, including a functional behavior assessment. 4. On July 1, 2007, Student’s father signed his agreement to the Individual Assessment Plan, but he added a request for a functional analysis assessment to address self-injurious behaviors, behaviors causing serious property damage, and other pervasive maladaptive behaviors. He wrote on the assessment plan: “[Student] was diagnosed with Autism and mental retardation. (Refer to Dr. Christine Major’s Report.) [Student] also displays behavior as an individual who suffers from pica. In addition, most recently demonstrates signs of having obsessive-compulsive behavior.” Pica refers to a child’s conduct in placing inedible objects into his or her mouth. 5. The OCDE case manager received the signed assessment plan from Student’s father on July 3, 2007, and OCDE began conducting the assessments. 6. Under California and federal law, assessments must be conducted by individuals who are knowledgeable about a student’s disability and competent to perform the assessment. The tests and assessment materials must be validated for the specific purpose for which they are used, and must be selected and administered so as not to be racially, culturally or sexually discriminatory. They must be provided and administered in the student’s primary language or other mode of communication unless this is clearly not feasible. The assessors must use a variety of assessment tools including information provided by the parent. 7. Mark Akstinas administered the psychoeducational assessment of Student. Akstinas is a school psychologist working for OCDE. He received his B.A. degree in psychology from the University of California, Los Angeles, in 1979, and his M.S. degree in counseling in 1987 from California State University, Long Beach. He is a licensed educational psychologist and holds a school psychology credential. He has taught classes related to autism and has worked as a behavior consultant. He is a member of the Autism Society of America and made a presentation related to autism at the International Meeting for Autism Research in May 2007. 8. As part of his assessment, Akstinas reviewed past assessments done of Student and other Student records. He conducted observations of Student in the school environment at both Newheart and at Tesoro High School. He interviewed staff who worked with Student, and conducted tests of Student. He also attempted to obtain input from Student’s parents, but the parents were not cooperative. 9. To test Student’s cognitive development, he administered the Leitner International Performance Scale-Revised. He chose this test because it has no spoken instructions, so it is ideal for evaluating the cognitive abilities of children with autism or children with limited receptive and expressive language. The test is widely established as a valid measure of cognitive abilities of persons with autism. He found that Student was severely delayed and had a Full Scale IQ score of 36. 10. Akstinas administered the Woodcock-Johnson Tests of Achievement III to assess Student’s academic achievement. This test is a standardized measure of academic functioning, and is valid to administer to children with autism. The test results showed that Student was performing academically at a level of Kindergarten or below. 11. To determine the level of Student’s social adaptive development, Akstinas used the Scales of Independent Behavior-Revised (SIB-R). This is a standardized measure of adaptive functioning and problem behaviors across various environments, and is an appropriate measure of adaptive functioning for persons with autism. Student’s teacher completed the rating scales for this assessment. Student’s teacher also completed the Behavior Assessment System for Children – Second Edition (BASC-2), a standardized rating scale designed to look at a child’s behaviors, and the Autism Behavior Checklist, a test designed to determine if a child exhibits behaviors that are characteristic of persons with autism. Akstinas completed the Childhood Autism Rating Scale as part of his observations of Student. Student’s vocational skills were evaluated using the work skills subtest of the SIB-R and the TEACCH Transition Assessment Profile, an assessment instrument designed to identify things such as transition goals, student interests and strengths. 12. In each case, Akstinas administered the tests and assessments in Student’s primary language of English. The tests and materials were free of racial, cultural and sexual bias. The standardized tests were administered for the purposes for which they were validated. Akstinas was familiar with all the tests and assessment materials and was competent to administer those tests. 13. As part of the assessment, Akstinas attempted to obtain input through an interview with Student’s parents. The parents refused to be interviewed, so the school staff sent two copies of the BASC-2 to Student’s parents and requested that each parent complete the form separately. Despite the instructions, Student’s parents completed only one form jointly, not two separate forms. Although “not applicable” was not a choice offered as an answer on the form, the parents wrote in “not applicable” to 38 percent of the questions on the form, invalidating the test results. The school personnel also sent home a copy of the Autism Behavior Checklist for the parents to complete, but the parents sent it back without any answers on it. School personnel attempted to interview the parents to obtain more information, but the parents declined to meet with the school personnel or discuss the rating scales with them. 14. The speech and language portion of the OCDE assessments was conducted by Kathleen Buch. Buch began work in the speech-language field in 1967, and has been licensed in California as a speech-language pathologist since 1996. She has worked for OCDE since 1996, and has done a significant amount of work with autistic children during that time. 15. In preparation for her assessment, Buch reviewed past reports and assessments of Student, met with Student at Newheart, and observed a group speech and language session. Buch attempted to obtain input from Student’s parents and sent the parents an email on July 28, 2007. The parents did not provide her with any input. 16. Buch administered two standardized tests as part of her assessment – the Receptive One-Word Picture Vocabulary Test and the Expressive One-Word Picture Vocabulary Test. These two tests are appropriate to use with a student with autism. She administered these two tests in Student’s primary language of English, and she used the tests for the purposes for which they were validated. She was familiar with these tests, had administered them in the past, and was competent to administer them. 17. In addition to the standardized tests, Buch conducted an oral structural functional examination to determine if any physical motor difficulties affected Student’s speech, and administered a criterion-referenced functional profile, which involved a discussion with Student’s teacher about how Student functioned in the classroom. She also administered the Preschool Language Test – Fourth Edition. This test is not standardized for children of Student’s age and grade level, but Student had taken the test in the past, and Buch wanted to see how his answers compared to past administrations of the test. Had he been successful on the test, she had other tests that were age-appropriate to administer to him. However, he was unable to perform well on the test, so she did not administer the age-appropriate tests. 18. As a result of her assessment, Buch determined that Student had severe delays in receptive, expressive and pragmatic language as well as problems with motor speech production. She shared her test results with Student’s treating speech therapist. The treating therapist concurred with her test results and agreed that the assessment report was an accurate evaluation of Student’s needs and abilities. 19. William Thompson conducted the functional analysis assessment and functional behavioral assessment of Student. Thompson is a school psychologist working for OCDE. He received his B.A. in psychology in 1996 from Cleveland State University and his M.A. in clinical psychology from Pepperdine University in 1998. He holds a Pupil Personnel Services Credential in school psychology, is a certified behavior intervention case manager, and has taken numerous training classes related to behavior and autism. 20. There is a difference between a functional analysis assessment (FAA) and a functional behavior assessment (FBA). An FAA concentrates on severe behaviors, while an FBA looks at any behaviors that might interfere with a child’s education. Student’s parents had requested an FAA, so Thompson conducted an FAA. However, he also conducted an FBA to see if addressing Student’s non-severe behaviors might ease Student’s transition from Newheart to Tesoro High School. 21. In conducting the FAA, Thompson set up a data collection procedure, reviewed records, and observed Student’s behavior. He focused his attention on both the problem behaviors mentioned by the parents in their FAA request and on problem behaviors that Student had exhibited in the past, prior to his attendance at Newheart. 22. He also relied upon the results of the standardized rating scales used as part of the psychoeducational assessment, in particular the SIB-R filled out by Student’s teacher. This rating scale was appropriate to use for evaluating Student’s behavior. Thompson had been trained in its use, was competent to administer it, and had used it in the past. 23. Thompson attempted to schedule a home visit with Student’s parents as part of the FAA. Student’s parents had raised concerns about Student’s problem behaviors at home, but Student was not exhibiting those problem behaviors at school. Thompson felt it was important to see how Student was generalizing his skills and to identify family priorities in the home environment. Student’s parents refused to permit Thompson to make the home visit. Thompson sent an email to them in an attempt to explain the importance of a home visit, particularly in this case in which the parents were reporting far different behaviors at home than those observed at school. However, the parents did not agree to the home visit. 24. Thompson then requested to meet with the parents at the school, but the parents also declined that meeting. Finally, as stated in Factual Finding 13, above, two rating scale forms were sent home for the parents to complete. The parents did not properly complete those forms and refused to meet with OCDE staff to discuss their responses. 25. During his assessment, Thompson observed Student on multiple occasions on different days and in different contexts in order to determine what behaviors were occurring and what the antecedents for those behaviors might be. He found it difficult to identify any severe problem behaviors for purposes of the FAA, because Student was generally a well-behaved child. However, Student did have some non-severe behavioral needs, so Thompson drafted a behavior support plan to address those needs. He shared the results of his assessment with Student’s teachers, and they agreed that his assessment presented an accurate picture of Student’s behavior. 26. Anne Braun conducted the occupational therapy assessment of Student. Braun received her M.S. degree in occupational therapy in 2006, and worked as a certified occupational therapy assistant for many years before that. She is currently an occupational therapist working for the District and provides occupational therapy services to Student at Tesoro High School. 27. Braun relied upon observations of Student at Newheart and Tesoro High School, as well as input from Student’s teachers in order to assess Student’s occupational therapy needs. Braun did not conduct any standardized testing, because she believed it would be difficult and frustrating for Student to try to follow the directions. She believed her observations of Student would be a better means to assess how he was functioning within his school environment. 28. Braun attempted to contact Student’s parents to obtain their input as part of the assessment. Student’s parents were not cooperative with her attempts. Braun managed to reach Student’s mother on the telephone at one point, but Student’s mother said she did not have time to talk. The parents never called her back or provided her with any input. 29. Based on her assessment, Braun determined that Student functioned fairly well within his structured classroom environment. He was able to follow his visual schedule with minimal to moderate supervision. His fine motor skills were normal within functional limits. His gross motor skills were a relative strength for him. He was able to dribble a basketball and liked to shoot baskets. 30. Lorie Menefee, a registered nurse and a school nurse working for OCDE, conducted the health assessment of Student. She tested Student’s vision and hearing, and determined that both were functionally normal. 31. Cheryl Kramer, an adapted physical education specialist with OCDE, conducted the psychomotor assessment of Student. Kramer used parts of the OCDE Recreational Skills Checklist and parts of the Adapted Physical Education Assessment Scale (APEAS) as part of her assessment. She also conducted observations of Student and consulted with Karen Miller, Student’s classroom teacher at Newheart. In her report, Kramer noted that: “…due to cultural, linguistic and experiential differences from the normative population of most testing instruments the results of the APEAS was used diagnostically in combination with the alternative means of assessment in order to ensure the most appropriate evaluation of this student.” Both Braun and Miller agreed that Kramer’s findings accurately reflected Student’s motor needs. Pamela Williams, Student’s current special day class teacher at Tesoro High School who has a background in physical education, also agreed that Kramer’s findings accurately reflected Student’s gross motor skills. 32. In September 2007, Student began attending the District’s Tesoro High School. The District noticed an IEP meeting for September 25, 2007, to review the assessments and discuss Student’s program and goals in light of the assessment results. 33. Student’s father telephoned the District after he received the notice and informed Leisa Winston, the District’s Program Specialist, that he did not believe the District had the right to call an IEP meeting. Winston explained the purpose of the IEP meeting and the need to review the assessments. Student’s father told Winston that the 1:00 p.m. start time for the IEP meeting was too early and requested a time later in the afternoon. He stated he might not attend the IEP meeting. Winston urged him to attend. 34. On September 14, 2007, the same day as the telephone conversation, Winston sent a letter to Student’s parents urging them to attend the IEP meeting. She included a new notice for the meeting with a start time of 3:30 p.m. and an end time of 5:00 p.m. She invited Student’s parents to participate by telephone if they did not want to attend the meeting. 35. On September 23, 2007, Student’s father sent an email requesting that the meeting be postponed until October 5, 2007, at 4:00 p.m.
She enclosed a form for the parents to sign agreeing to an extension of the timeline for holding the IEP meeting. 37. The parents did not sign or return the extension form, so the District went forward with the IEP meeting on September 25, 2007, as scheduled. Winston sent Student’s parents an email at 1:11 p.m. on September 25, 2007, informing them that the IEP meeting would go forward as scheduled at 3:30 p.m. Student’s parents did not attend the IEP meeting. The results of the assessments were reviewed and discussed at the meeting, and the IEP team relied upon those assessment results in proposing goals and special education services for Student. 38. On September 26, 2007, Winston sent a follow-up letter to the parents with a copy of the assessment reports. She invited the parents to contact the District staff regarding the assessments and offered to schedule a follow-up IEP meeting to discuss the assessments with the parents. 39. On November 7, 2007, Student’s parents sent the District a letter which, among other things, requested an independent educational evaluation (IEE) at public expense. On November 9, Winston sent Student’s parents a letter denying their request for an IEE. She explained that the District would be filing for a due process hearing to defend the assessments, but she invited the parents to explain their reasons for disagreement with the assessments to see if the matter might be resolved without need for a hearing. The parents did not provide any clarification of the basis for their disagreement with the District’s assessments. 40. The evidence supports a finding that the assessments conducted pursuant to the assessment plan signed on July 1, 2007, were valid for the purposes for which they were used, were comprehensive and tailored to evaluate specific areas of educational need, were administered in Student’s primary language of English and, except as noted in Factual Finding 31 above, were free from racial, cultural, and sexual discrimination. In each case, the tests and assessments were conducted by qualified personnel who were knowledgeable about Student’s disability and competent to administer the tests and assessment materials. The tests and assessments presented an accurate picture of Student’s abilities and educational needs. The District relied upon a variety of tests and did not use a single measure or assessment as the sole means of determining Student’s needs. 7. As more particularly set forth in Factual Findings 1 – 40, the District’s assessments met the requirements of law and assessed Student in all areas of suspected disability. They were given by trained, knowledgeable, and competent individuals, and the District did not rely on any one test or assessment to make its findings. The standardized tests and assessment instruments used were valid and reliable for the purpose of assessing a child with autism. The school psychologist administered the intellectual and social/emotional portions of the assessment, and the school nurse administered the health assessment. The tests given were comprehensive and tailored to evaluate specific areas of educational need. The procedures used in the FAA followed the legal requirements, and Thompson was properly qualified to conduct the FAA. The assessors conducted records reviews as part of their assessments, and made numerous attempts to contact Student’s parents to obtain their input. 8. In those instances in which tests and assessment materials other than standardized tests were used, they were used either in conjunction with standardized tests, or because, based on the assessor’s review of existing data and knowledge of Student, those tests would be a more reliable method of determining Student’s educational needs than the standardized testing. 9. The failure of the assessors to obtain valid input from Student’s parents did not invalidate the assessments. A parent cannot refuse every reasonable attempt made by a district to obtain valid parental input, and then challenge the district’s assessment for lack of that input. 10. Likewise, the failure of the parents to attend the September 25, 2007 IEP meeting where the assessments were reviewed does not invalidate the assessments. As set forth in Factual Findings 35 – 37, the parents failed to sign a waiver to permit the District to postpone the IEP meeting. Therefore, the parents cannot object to the District holding the meeting within the statutory timeline. 11. The assessments were valid, comprehensive, appropriate and tailored to evaluate Student’s educational needs. The District is not required to fund an IEE pursuant to the request made by Student’s parents on November 7, 2007. 1) The assessments conducted of Student by OCDE and the District pursuant to the Individual Assessment Plan signed on July 1, 2007, were comprehensive, valid and appropriate. 2) The District is not required to fund an IEE pursuant to the request made by Student’s parents on November 7, 2007.